Titus ordered three legions to surround Jerusalem on the western side, and a fourth to the Mount of Olives on the east. Then he allowed the Israelite people to enter the city to celebrate the Passover, but would not allow them to leave after the celebration. The trap was set. Titus then cut off food and water supplies. Once the people were thoroughly dehydrated, malnourished, and sleep-deprived, he then ordered a full-scale invasion that eventually killed much of the population and destroyed the temple, just as Messiah had prophesied. According to Josephus, who was literally present and part of the court of Titus at the destruction of the city and temple, Titus did not order the temple to be destroyed. He had wanted to turn it into a temple for the Roman gods. But the people under his command destroyed it anyway. Josephus describes the destruction of the temple as a mob-like event, where Titus’s army was literally out of his control. Now, let’s circle back to this word “nagid” that is translated as Prince or Ruler, and ask the question—was the angel Gabriel referring to the Antichrist? In my study, I could find no other use of the word nagid in reference to Antichrist in all of the Bible. Nigid, however, is translated as a ruler, but in a good sense. What I mean by that is, I couldn’t find any references to Saul (the first king of Israel) as the nagid, but I found several where David was called the nigid. With all of that said, let me present a different interpretation of “the people of the Prince to come”, as a possibility. You be the judges as to whether my alternative interpretation has any merit or is worth considering. At the time of Daniel’s writings, the 70 AD destruction of the Temple was several hundred years into the future. So, the Prince to come could be any Prince or Ruler after Daniel’s time. 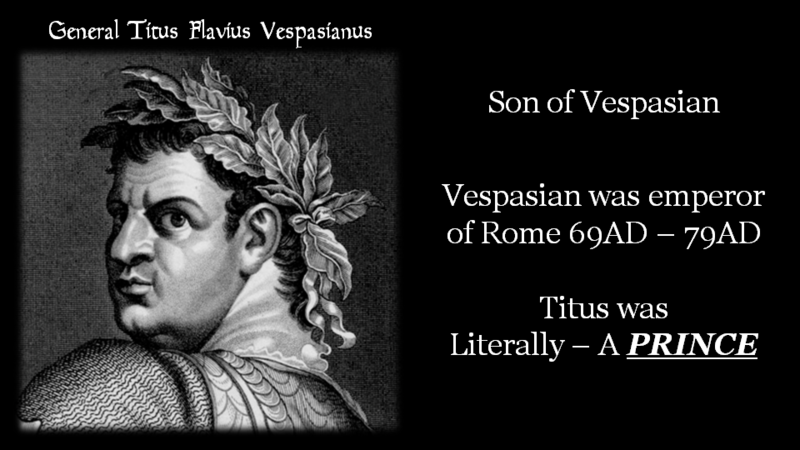 I would also note that General Titus was the son of Vespasian, who in 70 AD was emperor of Rome. So at the time of the destruction of the temple, Titus was literally a “Prince” (Heir) to the throne of Byzantine Rome. So, “The people of the Prince to come”, could be referring to the out-of-control mob under the command of Prince Titus. Not the people or bloodline of Antichrist. Next, we will analyze the second part of the Roman Antichrist theory. The Seven Mountains of Rome? We’ve all heard this. Right? 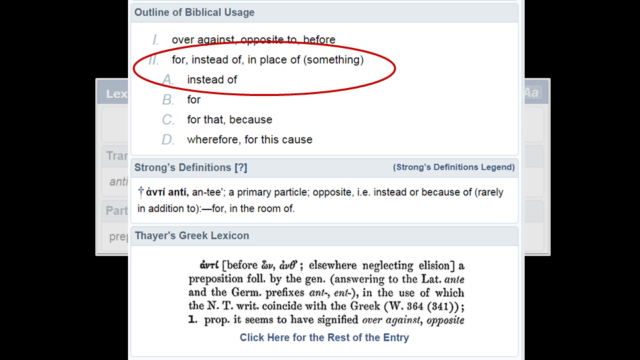 Let’s parse this out a bit, and take a closer look at these scriptures. She has a cup that is full of abominations and impurities, etc. I am pretty sure that is ALL symbolism. Now, let’s go ahead and read the actual scriptures. I really like the way the NLT translates these verses. I will break into the text at verse 3. Skipping down to verse 9 where the angel speaking to John begins a detailed explanation of this verse. There we have it. The seven hills or as some translations render it ‘seven mountains’ where the woman rules. But wait. We need to finish the verse: “They also represent seven kings”. Let’s keep reading the text, because the angel goes on to give John some really important clues that further define what these hills are or what they symbolize. So, from all of this allegory and symbolism, the scholars have taken a literal meaning to the word translated as hills or mountains. Even though the angel tells John that the seven heads of the beast are seven hills AND also seven kings. Kings don’t rule mountains or hills. They rule kingdoms. Mountains are used symbolically in many passages of the Bible to describe nations, and kings, or kingdoms. There is literally ONE tiny mention about hills or mountains, but the rest of the angel’s explanation to John is about kings or kingdoms, and empires. People will sometimes assert that John would have immediately associated Mystery Babylon as the city of Rome. To that, I would ask: Why does that matter? I don’t mean this to minimize the disciple and apostle John in any way, but it seems clear to me that the prophecies of Revelation were written for the final generation. Not for John and his generation. Moving on to verse 10: At the time of John’s writing of Revelation, the angel reveals that five of the hills or mountains had fallen, one is, the other has not yet come, and the seventh must remain only a little while. Have 5 of the 7 hills of Rome fallen? For argument’s sake, let’s assume that these are seven literal mountains or hills. Is Rome the only city in the world that sits in the valley of seven hills? The fact is, there are MANY cities in the world that claim to be built on seven hills. One such city is Mecca in Arabia, and another is Jerusalem. Interesting. 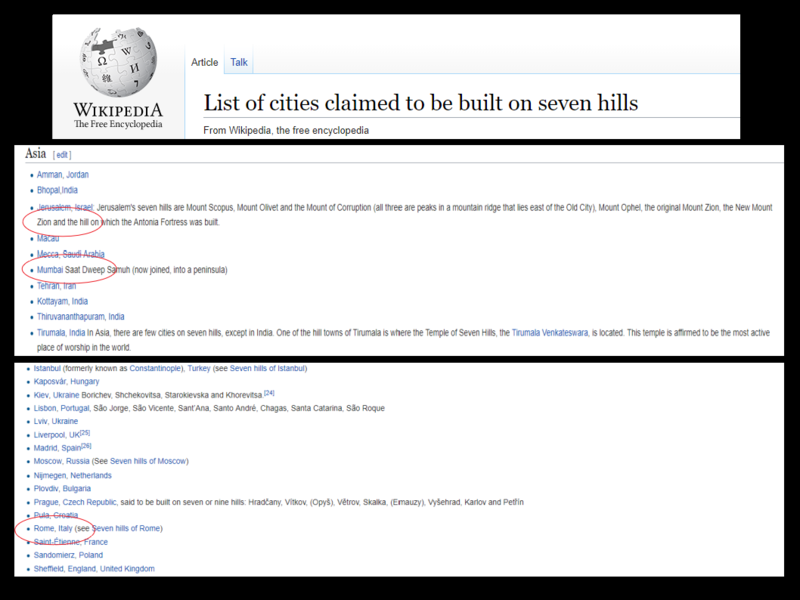 So, why is this city on seven hills assumed to be Rome? Does the Roman Antichrist theory actually derive from an unhealthy hatred of the Roman Catholics by Protestant scholars? Ask yourself this question: Do the Roman Catholics fit John’s own definition of Antichrist? Do the Roman Catholics deny that Jesus is the Christ? No. Do the Catholics deny the Father and the Son? NO. Do they have some jacked-up beliefs and traditions? Yes. Were the Catholics responsible for most of the paganization of Christianity? Yes. Were the Catholics a good representation of The Christ throughout the ages? NO. BUT, do any of these things qualify the Roman Catholics to be Antichrist by John’s very own definition? No, they do not. I would absolutely agree with anyone that asserts that the way the Catholics worship and exalt the Pope is an Antichrist characteristic. The name “Antichrist” not only means against Christ but also means ‘in place of’ Christ’. A false Christ. And there is no doubt that the Catholics put their pope ‘in place of’ Christ’. But, I personally still don’t think that the Catholics fit John’s description of Antichrist. To me, the hills described in Revelation 17:9 are symbolic of kingdoms led by the scarlet beast, which I believe to be Antichrist himself, and/or his coalition of nations or kingdoms under his rule. I suppose the hills could represent actual hills of the city that is Mystery Babylon. We will be taking an in-depth look at Mystery Babylon later in the presentation. I think you will find my argumentation compelling when I suggest that Mystery Babylon is not Rome. There are of course several other aspects of the Roman Antichrist theory. In the interest of time, I will not give a detailed refutation of each of these. Rather, I will briefly outline the theory and then point the reader to a line of questioning that I believe works to disprove that particular line of thinking. The legs of iron in Daniel 2 represent Rome and Rome’s strength. Thus the feet that are of “iron and clay” that are smashed by the rock, represent Messiah (the Rock) smashing the end-time resurrection of the Roman empire. I would agree that the legs of iron represent Rome and that the feet of iron and clay could also represent Rome. I would also agree that the Rock is symbolic of Messiah. The part that I disagree with is that the feet represent an ‘END-TIME’ ‘resurrected’ Roman Empire. I assert that the smashing of the feet is a prophecy of the fall of the Western section of the Roman Empire. After the death of Messiah, the Western half of the Roman Empire became very weak and didn’t last for too long after Messiah. The Rock becoming a great mountain that covers the whole earth is a representation of Christianity itself. The final aspect of the Roman Antichrist theory that we will briefly look at today is the belief that the fourth beast in Daniel 7 is also a representation of the ‘end-time resurrected Roman empire’. The beast empire. First, I think that the proponents of the Roman Antichrist theory have wrongly assumed that the four beasts of Daniel 7 are just a retelling of the statue in Daniel 2 that we just discussed. They believe the first beast represents the Babylonians and the second represents Medo-Persia, etc. The same as the statue. Next, I believe an error is made in believing these beasts represent a succession of empires. By that I mean: They believe that one empire falls (dies), and then the other rises to power. For evidence of why I believe these two aspects to be in error, I would point the reader to Daniel 7 and verses 11 and 12 where the fourth beast is killed and the first 3 beasts have their authority taken. If these are long-past ancient empires, how can they exist and have their authority taken after the fourth beast is killed? I would then point the reader to Revelation 13, where a beast is described that has 7 heads and 10 horns that looks like a leopard, with the feet of a bear and the mouth of a lion. If you were to add all of the beasts of Daniel 7 together, what would you get? A 7 headed, 10 horned, beast with leopard, bear, and lion characteristics. Thus, it is my belief that the 4 beasts of Daniel 7 ALL represent Antichrist, not just the fourth beast. But, you the reader should do your own homework and make up your mind for yourself. In the next section, we will dive into the Muslim Antichrist Theory.